TheManufacuturer.com has a fantastic video of a Tony Shute presentation on the design decisions and the development process that went into the creation of the Lotus Evora. It a bit tech heavy and quite long (38 min) but is definitely worth the watch and I guarantee that it will absolutely delight the engineer inside you. At the last GGLC autocross Alex and I decided to try out a little experiment to see how your heart rate changes during the race. We used a Polar S720i to record his heart rate, an iPhone for video and a DL1 data logger to record G-force and speed readings. I used some simple PHP magic to sync the two data files together and used the Chasecam Dashware system to create this finished video. Michael J. Kimberley (“Mike”) C.Eng., F.I. Mech. E., F.R.S.A., F.I.E.D, F.I.M.I has had a remarkable career in the motor industry over the last 56 years, working with some of the great engineers, innovators and leaders of the worlds motor companies. Mike started as an apprentice with Jaguar in 1953 before rapidly progressing to becoming in Section Leader, Special Projects at Jaguar in 1965 where he lead the team developing the Jaguar XJ13 Le Mans car, under such famous names as Jaguar founder Sir William Lyons and Jaguar race director Frank (Lofty) England. In 1969, he joined Lotus as Manager of Continuous Engineering, with the Lotus Europa Twin Cam being one of his most notable projects. Mike rose steadily but rapidly through the Lotus ranks, joining the Board of Lotus aged 37, and becoming Managing Director of Lotus Cars in 1976 and Managing Director of Lotus Engineering by 1980, being responsible for such Lotus icons as the Esprit, Eclat and Elite. During the 1970s and 80s, Mike had the unique experience of having worked closely with the company’s founder Colin Chapman, with whom Mike set up the world class Lotus Engineering consultancy to enable Lotus to work for many other cars companies around the world. Lotus Engineering is now a globally recognised high technology engineering consultancy and serves many of the world’s car companies. After Colin Chapman’s tragic and untimely death in 1982, Mike became C.E.O of Group Lotus plc, as well as holding board positions with a number of Lotus associated companies such as Chairman of Millbrook Proving Ground and President of Moog Systems Inc. With Lotus under General Motors ownership, Mike became Chairman of Group Lotus plc before leaving Lotus in 1992 to become Executive Vice President (General Motors Overseas Corporation) based in South East Asia. Two years later, Mike became director of the Vector Aeromotive Corporation, and in 1994, he became President & Managing Director of Automobili Lamborghini S.p.A, being responsible for the rebuilding of Lamborghini after Chrysler’s ownership and prior to its sale to Audi AG, as part of the VW Group. In the mid 1990s, Mike left Lamborghini and worked directly for Tommy Suharto as a board member of Timor Putra Nasional (owners of Lamborghini) until retiring with an undiagnosed tropical fever. Returning to the automotive industry a few months later, Mike worked in a consultancy role for a number of organisations including Tata Motors Ltd. In August 2005 Mike was appointed to the Lotus Group International Limited and Group Lotus plc Boards as well as other Boards of Proton. 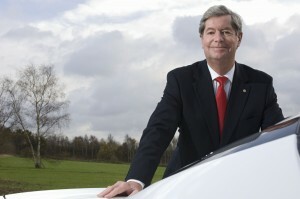 He was appointed acting Chief Executive Officer of Group Lotus plc in May 2006, confirmed as Chief Executive Officer of Group Lotus plc in September 2006. During his second tenure at Lotus, Mike has been responsible for the creation and execution of a new 5 year strategic business plan, and the new, already award-winning Lotus Evora is the first of the range of new Lotus cars to be designed, developed, manufactured and sold by Britain’s most iconic and innovative sportscar company. Lotus Engineering has expanded to become a world-class consultancy employing over 500 highly qualified engineers in five technical centres around the globe. It is revered for innovation, outstanding driving dynamics, exciting niche vehicles and efficient performance engineering. Mike (70) is married with 3 children and 3 grand children and lives in Norwich. Registration for the 2009 West Coast Lotus Meet is now officially open! The Lotus Car Club of Southern Nevada will host the event from November 5-9 at the ultra hip Red Rock Hotel and Casino with assistance from other Lotus clubs on the west coast. Drive, Drink, Play, Party. WCLM 2009 in Vegas has a sampling of the best car events and outrageous recreational events Vegas has to offer inspired by the old and new Sin City. Friday and Saturday will offer drives to Lake Las Vegas, Lake Mead, Hoover Dam, Red Rock Canyon or Valley of Fire and the WCLM Autocross and Lotus Car Show (Concours). Sunday is the track event (optional) in Pahrump. The Red Rock Hotel & Casino – Step inside and be completely immersed in the “Happy Endings” ambiance of ultra hip architecture, design and flavor of the Red Rock Hotel and Casino while playing or relaxing. Enjoy cocktails by the luxurious pool! Hot times in the nightclub! Win at the Tables! Relax in the Spa! Drive fast, drive well and finish well. Enjoy an exciting day on the track at the most luxurious racetrack in the west. Spring Mountain Motorsport Ranch has it all – 2.2 mile twisty track run from the lower paddock, luncheon at the Member’s Club House, observation tower, pool, spa, weight room, jacuzzi, massage rooms and more. The track event is on Sunday, November 8th and if you want more stay for a 2nd track day on Monday, November 9th using the 3.1 mile course! 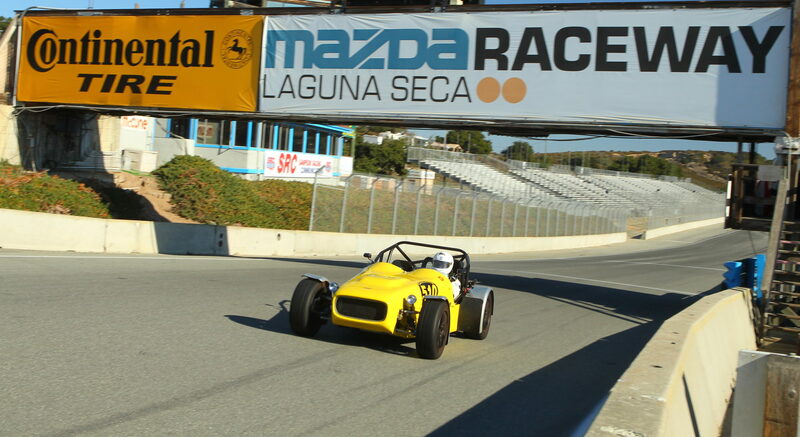 Take your Lotus out on the track with challenges for the most advanced drivers and expert instruction for beginners. Never been on a racetrack before? We will have coaches ride with you to get you acquainted with the track and help you withg high speed driving techniques, all with safety in mind. Drivers Republic takes the Lotus Exige 260 Cup to Goodwood to see if it can beat Jim Clarks lap record in a Lotus 25. Click through to see the result. Its time for another GGLC/LotusTalk South Bay lunch. Meet us on July 14 (Tuesday) for some excellent Mexican food at Vive Sol in Mountain View. There is a plenty of parking in the rear of the building and if we get enough people I’ll see if I can get a section of the lot reserved for us. Please RSVP before July 7th by either leaving a comment below or by posting in this thread on LotusTalk. I will update this post with an attendee list and more info as we get closer.